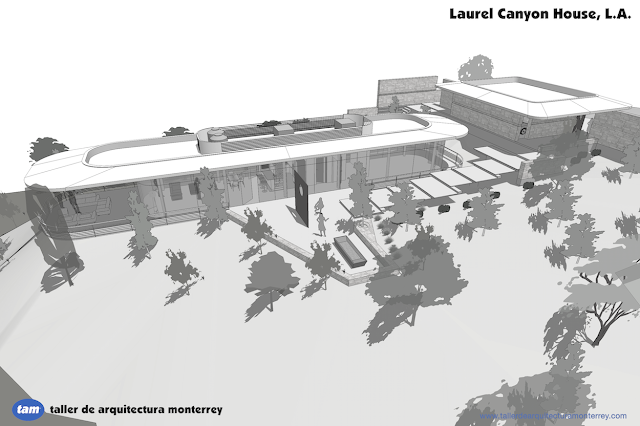 Conceptual design for a house high in the mountains of Monterrey, in collaboration with Marce Garal Architecture. Our client specified he wanted to make as little impact as possible on the heavily wooded site, which is in a protected forest reserve above 800 meters MSL. The initial proposal is to elevate the house on pillars and have it "hover" above to take advantage of the spectacular views to the north and northeast.